Do you love playing free action games? Download Jump Kong Hero Craft World. It is a free action game for Windows 8 and 8.1 computers. The game is a perfect combination of action and adventure. More than 30 levels along with 4 attractive themes are enough to keep you engaged with the game throughout the day. The high-definition graphics and a sweet background music make this game one of the most addictive games lately. 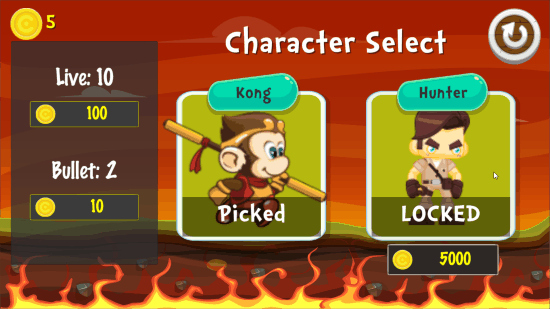 Play as a monkey king and complete your journey within the given time for each level. Play this free action game for Windows 8 and reduce all your stress. Get it now! This free action game for Windows 8 is very easy to install. I have provided a link at the end of the article which redirects you to the installation page of the game. At the installation page, you have to click on the install button and Windows will install the game on your PC automatically. You can also download and install this free action game for Windows 8 directly from the Microsoft Store by typing its name in the search tab. This free action game for Windows 8 is easy to understand and play. You can either use the keys displayed on the screen or use the keyboard keys. 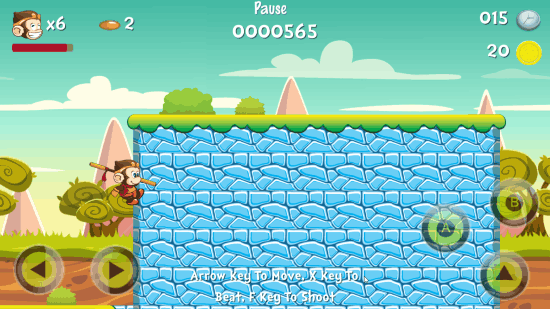 If you are using the keyboard keys, use arrow keys to control the movement of the monkey, press Spacebar to jump, X key to attack with the stick, and F key to fire bullets. Press Spacebar twice to jump twice in the air. To climb on the walls, just approach them. 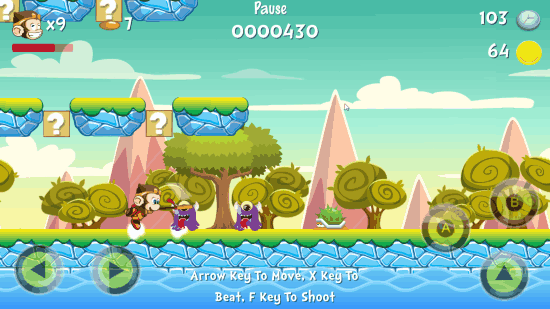 The monkey carries a stick to protect himself from the enemies. He also fires bullets on his enemies but he has only a limited number of bullets. So use them wisely. However, you can purchase them in the store by spending the coins you have earned. Hence, you have to collect as many coins as you can. The journey is full of terrestrial and aerial creatures who can attack you anytime on your way. Beware! Initially, you will get a total of 10 lives. You can buy more lives in the store and each life worth 100 coins. Remember you have to complete your journey within 200 seconds, and if you are unable to do so, you will lose one life. You can also kill your enemies by jumping on them but not all the enemies. Hence, it is better to attack with the help of a stick. 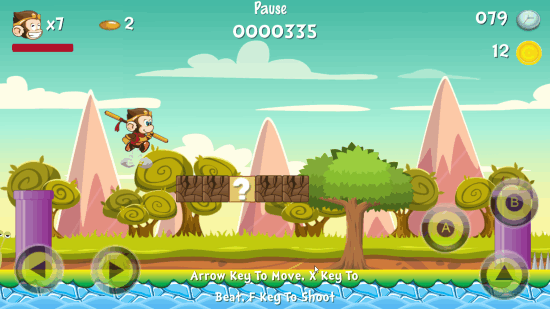 Keep an eye on the status bar that indicates the remaining life of the monkey and avoid jumping on spikes. More than 30 exciting levels. Amazing animation and high-definition graphics. Watch free video provided in the game to earn 50 free coins. This free action game for Windows 8 is easy to install and does not requires enough space on your PC. The game is ideal for any age group. With amazing graphics and sweet background sound, it is a great stress and time killer. Download Jump Kong Hero Craft World for Windows 8 and 8.1 computers.